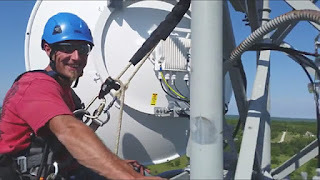 Go Wireless NZ Blog: Is Licensed Backhaul an option you should be considering? Is Licensed Backhaul an option you should be considering? These days fibre optic cable is the ideal way to get guaranteed bandwidth from point A to point B. 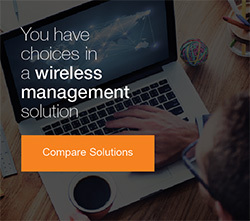 When this is not an option because of the high cost of a fibre run for a given distance, or the cost of running it in difficult terrain, licensed wireless microwave is the next best solution we have up our sleeves. WISPs (Wireless Internet Service Providers) are generally smaller and a lot more geographically diverse. The reason for their success is that they can overcome obstacles where traditional Internet providers deem it not feasible. Where no cable can exist, licensed microwave backhaul has an overall lower cost to deploy than fibre. It’s easier to install with no trenching or running fibre along poles, and with little to no maintenance it is a similar cost whether you are going 8km or 80km. 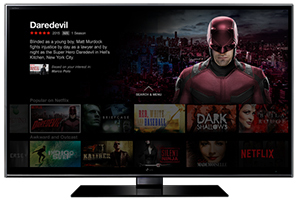 Bandwidth demand is exploding and the demand is only going to grow. 10 years ago the typical bandwidth used by a small to medium size home or business was less than 1Mbps, although you could buy more bandwidth, it was expensive and rarely needed. We are seeing an inversely proportional relationship with the speed and bandwidth offered and the cost to the end user, with up to 1Gbps speeds being offered to the home or businesses in New Zealand. The amount of spectrum and the low cost of equipment in the unlicensed band has accelerated wireless service providers onto the marketplace over the last ten years. They now compete and deliver services that have been traditionally held by fixed wired service providers on mediums such as copper, cable and fibre. Unlicensed spectrum is free, open to everyone as long as they follow some basic rules, however, this freedom has also allowed the odd ‘cowboy’ or two to bend such rules resulting in disgruntlement and an impact of the quality of service offered by those who use it. This is becoming a bit more of a risk for critical service links within the networks of internet providers, local government and utility companies who rely on the quality of that bandwidth for their various applications and services. This is concerning around the core of a wireless network where more traffic flows, and not on the edges of the network. Think of unlicensed wireless spectrum like lanes on a motorway, with wireless devices being the vehicles on the road. The more cars on the motorway, the more crowded the motorway is. There are technologies like GPS synchronisation that are solving the immediate problems by ‘evenly spacing the cars’ so they work more efficiently. 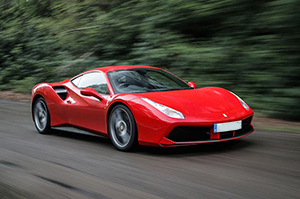 This still does not solve the problem of more cars on the road when the guy in the Ferrari is on his own private highway, right next to the congested one. With such a demand on the unlicensed wireless network, WISPs are now looking beyond 2.4GHz and 5GHz, to how they can protect their links with dedicated bandwidth in the licensed spectrum. 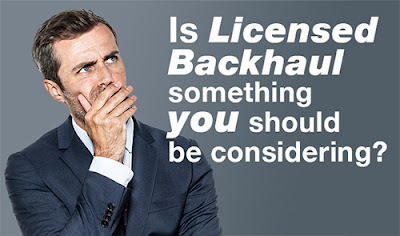 Generally licensed backhaul has been the game of the big players due to its high cost and the complexity of solutions. A recent announcement from Radio Spectrum New Zealand (The managing body for spectrum) has brought the cost down to $150 per year for a licence, making it very affordable to maintain and keep licensed spectrum. The equipment, however, has generally been the expensive part of the process. We are now seeing downward trends in overall cost from 5 years ago, due to more market competition and continuous innovation in technology. Licensed point to point microwave links can be as much as 10 to 20 times more expensive than the price of a traditional unlicensed link, but they offer as much as 5 times the amount of bandwidth with super low latency that is guaranteed and interference free. Licensed link holders know exactly what they are getting, and can guarantee they are getting it 100% of the time if engineered correctly. Licensed microwave backhaul is offered in many different configurations to overcome a variety of obstacles. These configuration options offer the flexibility to build a long lasting network whether you need redundancy and high link availability, additional throughput or all of the above. There is something to suit from small projects through to large scale enterprise applications. We enjoy seeing if we can make a licensed solution work for you. Feel free to contact the team at Go Wireless NZ about how licensed backhaul could work for your network.